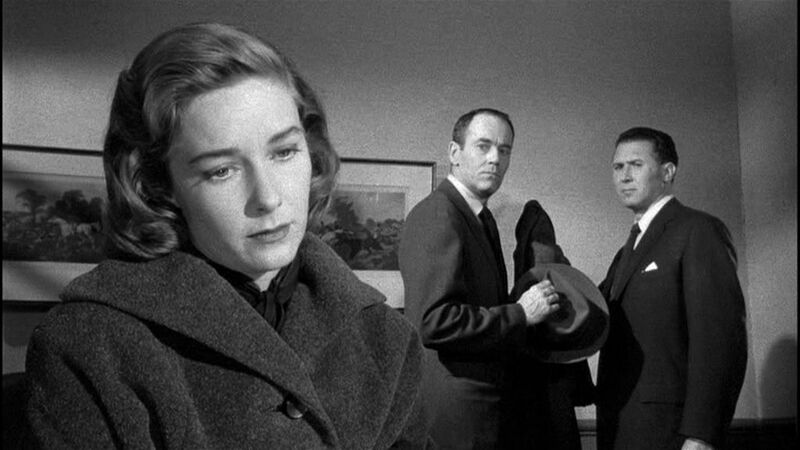 Alfred Hitchcock’s The Wrong Man (1956) is considered to be a minor, oddball work in the great director’s career. It is frequently set aside from the rest of his masterful oeuvre by reviewers and critics and dismissed as an offbeat, realist docudrama uncharacteristic of the “Master’s” line of highly charged movie entertainment. It is more like a neorealist documentary, according to some commentators . So we have something of a paradox – a true story and a dark, existential horror film at the same time. 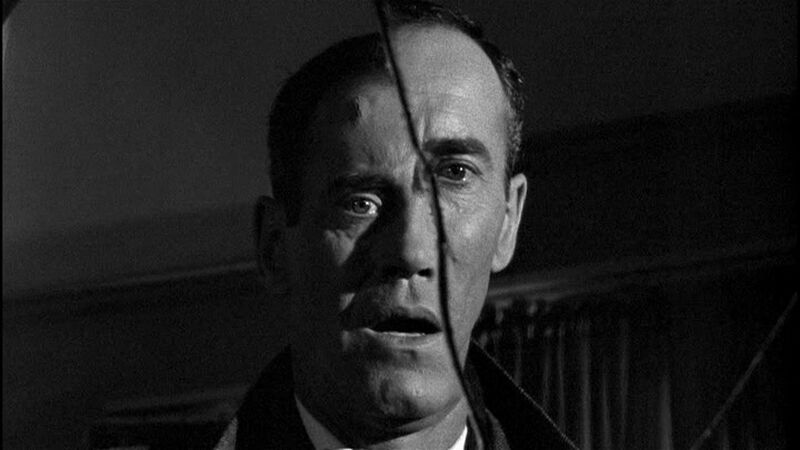 It was Hitchcock’s genius to have been able to combine these two contrasting narrative elements into a single film that made The Wrong Man particularly interesting. The true story concerns what happened to a middle-class New York family man, Christopher Emmanuel "Manny" Balestrero, who was wrongly accused of multiple armed robberies. The case against Balestrero was based on mistaken eye-witness identifications of him by those who had earlier been held up at gunpoint. The details of the case were reported in a Life Magazine article  which apparently caught the eye of Hitchcock at the time. Hitchcock went on to make his film based on scriptwriter Maxwell Anderson’s account of those events, The True Story of Christopher Emmanuel Balestrero, and in a personal appearance at the film’s outset Hitchcock solemnly assures his audience that “this is a true story, every word of it.” And indeed all the facts seem to be there, as one would expect in a docudrama. Hitchcock even used many of the original New York locations for many of the film’s exterior shots. And yet we know that every narrative account must involve some degree of interpretation from an observer’s perspective. Manny Balestrero. Manny has been accused publicly of being guilty, but privately knows he is innocent. He starts out with a naive faith that objective observation of the facts will lead to a just outcome, but his trust in the public administration of guilt is progressively shaken as he sees it fail to arrive at the right assessment. Rose Balestrero (Manny’s wife). The Balestrero family are devout Roman Catholics, and Manny’s misfortunes lead Rose to assume an overwhelming sense of internal, personal guilt. She comes to believe that she, herself, is profoundly and irredeemably guilty and hopelessly isolated in a hostile universe that is stacked against her. The Police and Legal System. The public institutional operation of guilt determination is shown to be operated by people who are just parts of a mechanized system tasked with the determination of some hoped-for objectivity concerning who is to be labeled guilty. The Public Notion of Guilt. We also see the attitudes of the public at large, in the roles of the eyewitnesses, who participate in the public assignment of guilt. These are undertaken in association with various social norms that encourage the public’s aggressive assignment of guilt to observed wrongful individuals. Christian Notions of Guilt and Redemption. Guilt is a major theme in Christianity, as it is with all the Abrahamic religions, but it is also tempered by the notion of unqualified forgiveness and salvation. 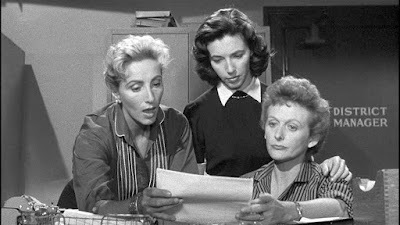 This is a subtle theme that comes more into play at the close of the film. These theaters of guilt and their associated themes are tracked through the five acts of The Wrong Man. 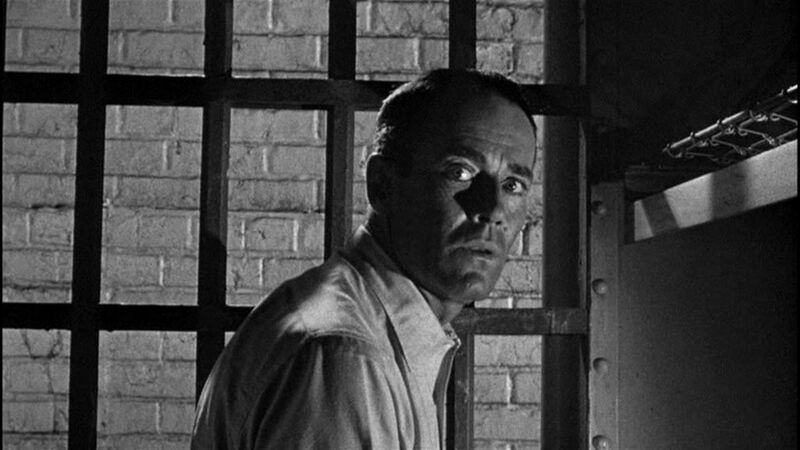 Manny Balestrero (played by Henry Fonda), a musical bassist in a resident band that plays dance music at the famous New York nightclub, the Stork Club, is married and a devoted father of two children and living in a modest home in Queens, NY. 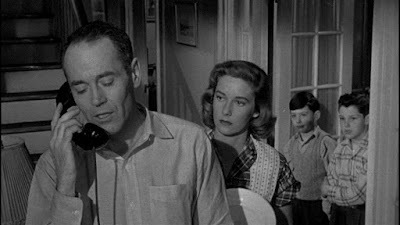 His wife Rose (Vera Miles) is something of a worrier, but Manny’s faith in traditional values is the family’s mainstay. In order to pay for Rose’s needed and expensive dental work, he decides to go to their insurance company and borrow money on Rose’s insurance account. While visiting the insurance office, he is recognized (mistakenly, as it turns out) by some of the workers there as someone who had robbed the office a few weeks earlier. Immediately upon Manny’s departure from the insurance office, the workers report him to the police. Thus the film here enters the realm of the Public Notion of Guilt. Here we come to the machinations of the institutional guilt-determination system – the Police and Legal System. When Manny arrives home, he is arrested on his doorstep and immediately ushered to two a liquor store and a delicatessen, whose operators identify Manny as the man who had earlier robbed them at gunpoint. Manny obediently follows all the police’s instructions, trusting that they will soon find him to be innocent. But he is further incriminated when, asked orally to print out the original perpetrator’s money demand note, he makes the identical handwriting mistake that the original thief had made. Then he is treated like a laboratory specimen, and he is fingerprinted, handcuffed, and jailed. Throughout this sequence there is a disturbing atmosphere of confinement and isolation. Manny is helplessly getting closed up by the system into a little box. After his arraignment in court the next morning, Manny is finally released from jail on bail. Manny now takes his own steps to try and save himself from the clutches of an errant system. We are in Manny Balestrero’s realm. He hires a lawyer (Anthony Quayle), who urges him to find people who can vouch for his presence with them on the days of his purported crimes a couple of months ago. But the few people he can remember for this purpose turn out to have recently died or are unlocatable. 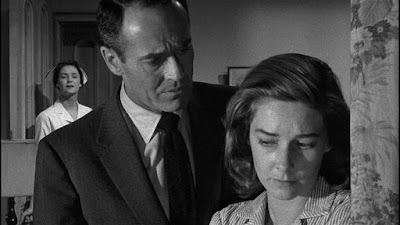 The uncanny misfortune of these circumstances (the fateful disappearance of redeeming evidence) affects them both and seems to weigh so heavily on Rose, in particular, that she slides into hopelessness. Now Manny’s world is further disintegrating as we enter Rose Balestrero’s realm. Not only is Manny threatened by a malfunctioning public guilt-assignment system, but his own personal world is crumbling due to the onset of Rose’s mental deterioration. She blames everything on herself, and she begins exhibiting symptoms of paranoid personality disorder, wherein further efforts in life seem futile. Soon she has to be committed to a mental institution – another institution in connection with which Manny can do nothing and only helplessly hope that things will work out. This is the most alarming part of Manny’s downward existential spiral and the most disturbing part of the film. Then at Manny’s trial, his lawyer’s laborious efforts to cross-examine the incriminating eyewitnesses doesn’t fare well with the jury, and they are only saved temporarily by the happenstance of a mistrial being declared. The whole story of Manny Balestrero’s existential crisis is colored by Hitchcock’s carefully crafted mise-en-scene. 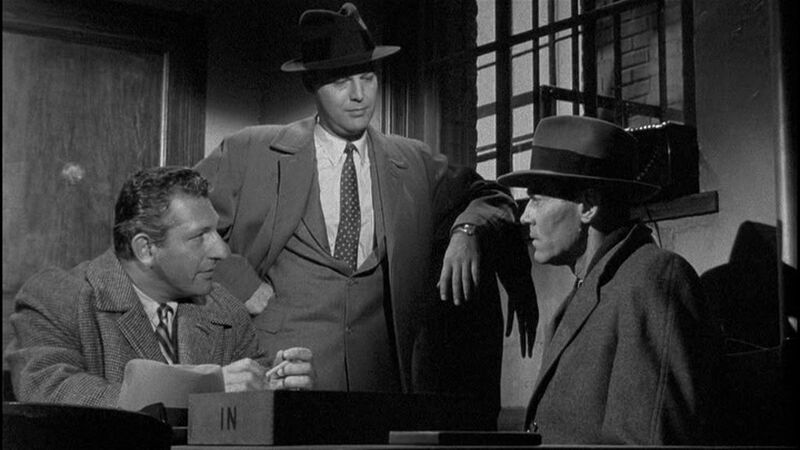 Far from a supposedly objectivist presentation of truth with fly-on-the-wall “objective” observation, Hitchcock carefully fashioned The Wrong Man into a moody film-noir. In order to achieve these to achieve these atmospheric noirish effects. 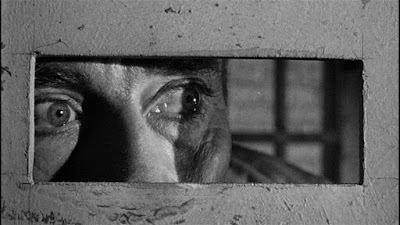 Hitchcock’s cinematographer, Robert Burks, skillfully employed high-contrast black-and-white photography and striking oblique camera angles. And in this connection, every shot was carefully storyboarded well ahead of the actual shooting . The film’s moody ambience was further enhanced by Bernard Herrmann’s quirky, low-key Latin-inspired musical score. Mention should also be made of the acting performances of Henry Fonda and Vera Miles. Although Hitchcock did not customarily place much emphasis on acting theatrics, these two performances, particularly that of Vera Miles, add to the film’s flavor of mysterious impending existential annihilation. All in all, we can see that, despite its realist veneer, The Wrong Man has been carefully crafted to be one of Hitchcock’s most disturbing horror films, and it is a film that deserves a more prominent place among his oeuvre. Devon Powell, “Blue-ray: Review: The Wrong Man”, Hitchcockmaster, (16 January 2016). 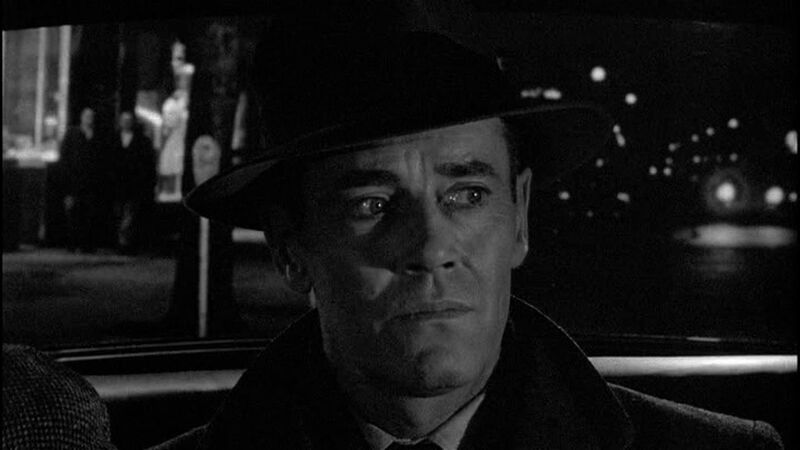 Andy Webb, “The Wrong Man (1956)”, The Movie Scene, (n.d.). Herbert Brean, “A Case of Identity”, Life Magazine, (29 June 1953), pp. 97-107. Friedrich Nietzsche, Beyond Good and Evil, (1886), (trans., Walter Kaufmann), Random House, Inc., (1966). Friedrich Nietzsche, On the Genealogy of Morals, (1887), (trans., Walter Kaufmann), (in On the Genealogy of Morals and Ecce Homo), Random House, Inc., (1966). R. Lanier Anderson, “Friedrich Nietzsche”, Stanford Encyclopedia of Philosophy, (17 March 2017). Lou Lumenick, “A case of mistaken identity ruined this man’s life — and inspired Hitchcock”, The New York Post, (7 February 2016). Laurent Bouzereau, Guilt Trip: Hitchcock and The Wrong Man, Blue Collar Productions, (2004). Jean-Luc Godard, “The Ten Best Films of 1957", (from Cahiers du Cinema, 1957), Godard on Godard, (translation and commentary by Tom Milne), The Viking Press, (1972), p. 66. Jean-Luc Godard, “The Wrong Man”, (from Cahiers du Cinema, 1957), Godard on Godard, (translation and commentary by Tom Milne), The Viking Press, (1972), pp. 48-55.